The DEEP Store reserves the right to update shipping costs without notice. Changes will not be applied to orders that were placed prior to the new shipping costs taking effect. 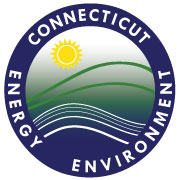 The DEEP Store charges 6.35% sales tax for merchandise and shipping costs associated with orders that are shipped to a delivery address within the state of Connecticut. Returns accepted within 30 days of transaction date. Receipt must accompany returned item. Shipping is non-refundable. Items must be returned in the same condition as received.